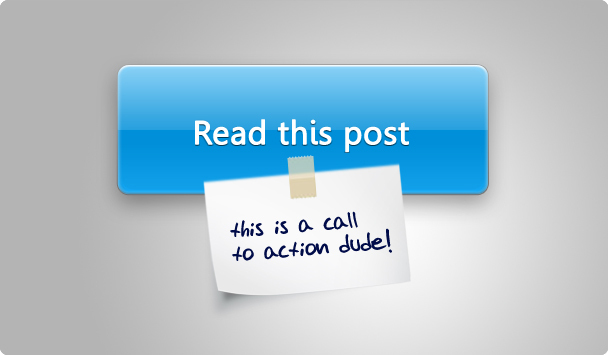 ‘A term used to describe a banner, button, or some type of graphic or text on a website meant to prompt a user to click it and continue down a conversion funnel’ is how Wikipedia defines a ‘call to action’ or CTA. Well we think a CTA is a lot more important than just a button! 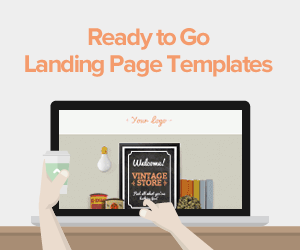 In fact, we’re certain it’s the most important element of your landing page. 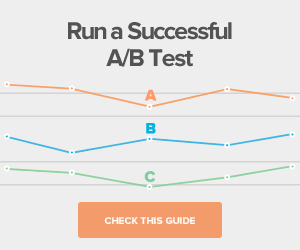 Without a CTA you may have no conversion at all. Nil. Nada. Zilch. A clear call to action is how you tell your visitors what you want them to do: download your eBook, sign-up to your app, buy your product or whatever else you desire! Be Specific! Make sure you choose your words wisely. 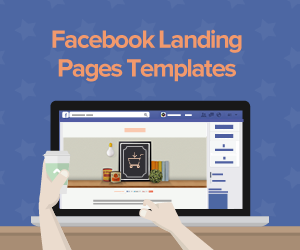 People are more likely to click on your CTA if they understand exactly what they’ll find after doing so. 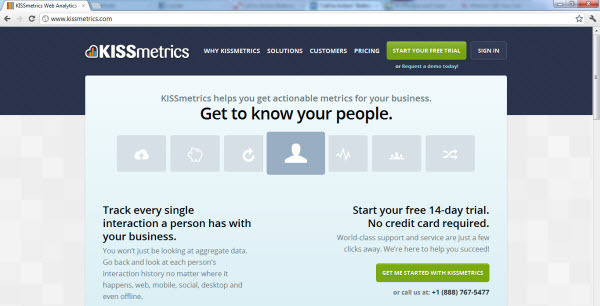 Messages like “Next” will confuse your visitors and give them click fear. Make it urgent or exclusive! People online often ask themselves “Why should I click?” But if they know your offer has limited availability or won’t go on forever, they won’t want to miss out, right? Stand out from the crowd! A Value Proposal is a must. Placed before your CTA, it tells people why they need your product, what makes your company special. And why they should choose you instead of all those other businesses offering something similar. CTAs are very well placed. 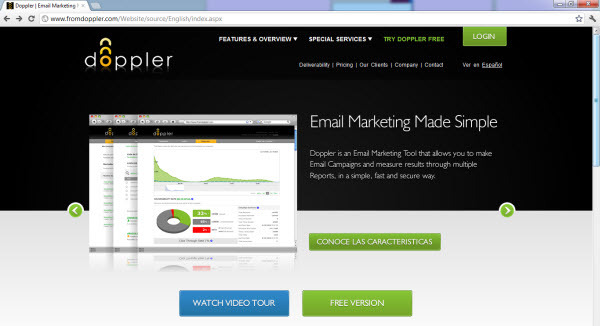 Visitors clicking on either “Try Doppler Free” in the top navigation or the “Free Version” button move through to the same destination. What does Doppler want visitors to do? Watch the video tour or try the free version? Even though these buttons have different colors, they’re the same size and right next to each other. This might be confusing. CTA copy isn’t scary. Click it and you know what happens next! The same color? Really? You can do better than that! Everything? THE CTA. Everybody will remember this message forever. We’ve drawn a blank here. If you can think how to improve this CTA, please feel free to comment. 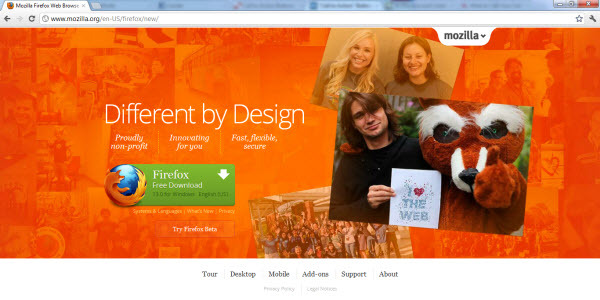 Button copy is clear and engaging – nothing scary here. 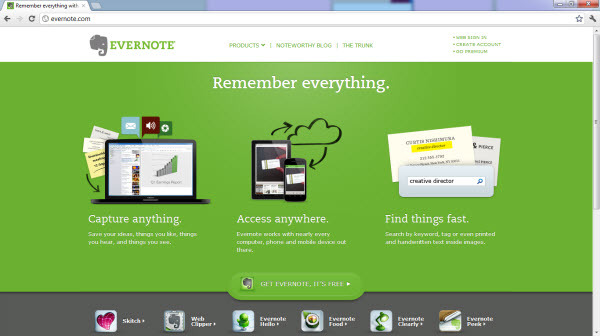 CTAs are green when everything else on the page is blue, for maximum visibility. 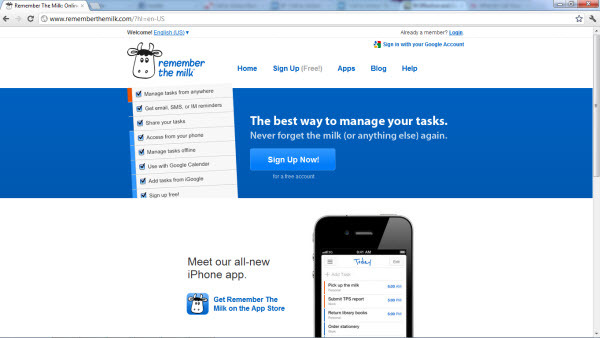 Similar messages in CTA button and top navigation reinforce each other. CTA button doesn’t say starting is ‘FREE’ whereas top navigation does. Room for confusion here. Yes, we’ve decided to include ourselves! You can see our CTA right? Bet you won’t miss it! Short punchy words – and the fact Lander’s free – add urgency. CTA copy is 100% clear. You know why you’re clicking. Try it for free? Clear as water, but a lil’ bit non-specific right? Well, it converts very well! Still, we reckon some day we’ll need to change it for something more unique. CTA is instantly and invitingly visible. It works brilliantly with the Value Proposition, situated just above. Opera is free to download – although you’d never know from the CTA. Using the cow’s head icon on the CTA button draws the eye. CTA message is 100% clear. CTA copy is phrased to add urgency. CTA copy and the message immediately above it are practically identical. A wasted opportunity to say something different and help drive conversion. Lots! They’ve even got arrows pointing to their CTA! What else do you need? If you don’t click on the CTA button, it’s most likely because you’re not interested in the offer itself. You think the service is free because on the left you read ‘Create Resume, free and easy’. But the CTA fails to make this point. And both the CTA button and the ‘Prices’ header in the top navigation are red. Perhaps you’ll be charged if you click on the button after all. There’s no escaping this CTA! Great color and location. CTA message works in concert with Value Proposition. CTA copy is clear, energetic and urgent. You tell us! Hard to find fault with this capital CTA! Red CTA buttons command the visitor’s attention. Why would you want to click on these buttons? If you don’t know what Things is, there’s nothing to tell you here. Mixed messages. One CTA button is to download Things (presumably for free), the other is to purchase it. But is it the same product or a different one? As we all know, sales don´t happen automatically. You have to ask – and sometimes shout! – for them. 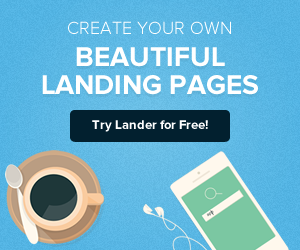 Our Call to Action layout enables you to create irresistible landing pages. And if your online visitors don’t surrender? 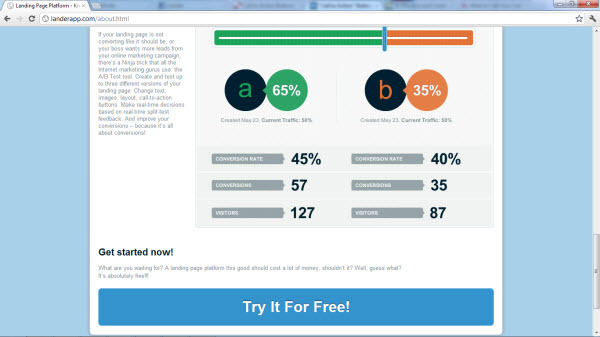 Simply A/B test your CTAs until they do!